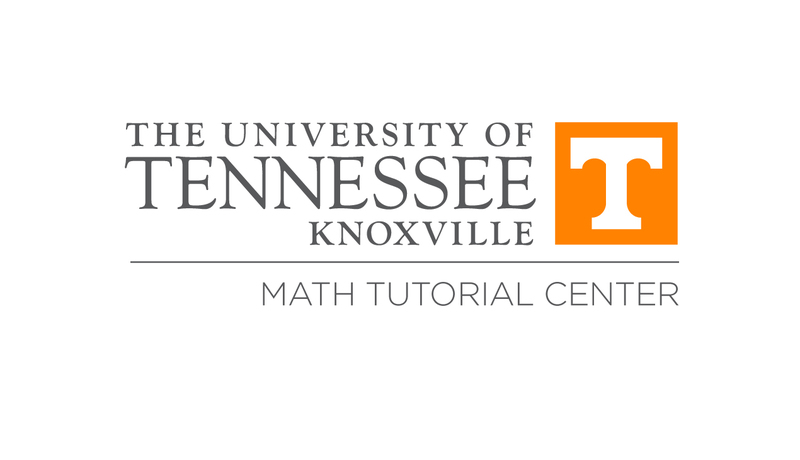 We, the staff of the Math Tutorial Center, would like to invite you to take full advantage of the free tutoring support we offer to all UT students. We are dedicated to helping you achieve successful outcomes in your math courses. There are two MTC locations, the Main Lab in Ayres G12 (the east basement) that is open during the day and the North Commons Lab in Hodges Library that is open in the evening. The Center is staffed primarily by undergraduates, the majority of which are Math or Engineering majors, ready to help you in your math courses up to at least Calculus II and some 200 level courses. We also have tutors that are Business, Psychology and Statistics majors that help with Math 115 Statistical Reasoning as well. Please note that the MTC follows the University's open/close policy for inclement weather. We will also help with second year courses such as Calculus III and Differential Equations to the best of the staff's ability. Undergraduate classes outside the Math Department where the assistance needed is mathematical in nature. Note: The Math Department has asked that we not help any students in math courses numbered 300 or above. Employment: To apply to be a tutor complete this application form. The form will require you to submit an unofficial copy of your college transcript(s) [The department can obtain your UT transcript at no cost with your permission] and provide the names and email addresses of two math instructors that we can send recommendation forms to on your behalf. Tutor Qualifications: A tutor may possibly be hired specifically for their ability to tutor Math 115 Statistical Reasoning or Math 123 Finite Mathematics. All general math tutors are required to have completed through at least Math 142 Calculus 2 at the absolute minimum. It is preferred that applicants have completed at least two of the 200 level courses, Math 231 Differential Equations, Math 241 Calculus 3 and Math 251 Matrix Algebra. For more information call 974-4266 or 974-2461. You may also reach us by e-mail at guest00@utk.edu.